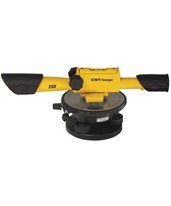 Transit Levels are accurate and easy-to-use tools for leveling and vertical applications. 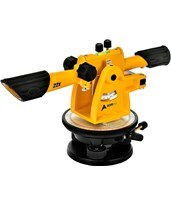 These optical instruments are ideal for establishing the position of reference lines, and angles and grade. They can handle various tasks, such as level foundations, patios, or decks; run straight lines, plumb walls, or turn angles; perform grading applications for streets, curbs, or landscaping; or any other light construction leveling application. Designed for a variety of leveling applications, transit levels can withstand the rigor of everyday field use, as well as bright sunlight. 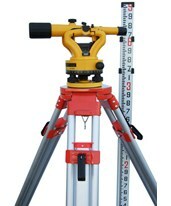 Optical levels, surveying levels, transit levels or builder levels are all ideal for land surveyors, building contractors, concrete professionals, and anyone wanting to work from a level reference. 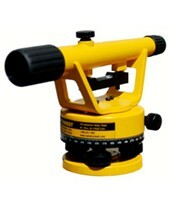 They're excellent for jobs such as setting points in line, plumbing, and determining slope and grade lines. Choosing the right survey level will help you become more efficient on the job site. All of our levels can be mounted on a tripod, have high accuracy, and a viewing range of up to 200 feet for distance sighting. 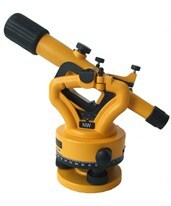 There are a variety of options including vertical arc, 360-degree horizontal circles, clamp locks, and fine adjustment knobs for even greater precision. 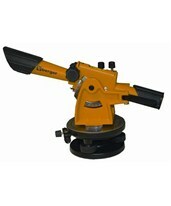 All of our surveying levels are also easy to set up and highly durable. 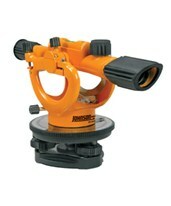 Surveying levels come in choices of magnification, with universal tripod threads, and easily adjustable knobs. 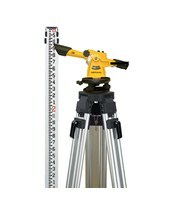 Builder levels are great for horizontal leveling, and determining grade and elevations. 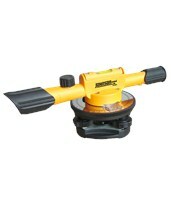 Transit levels are ideal for vertical alignment leveling and angles. 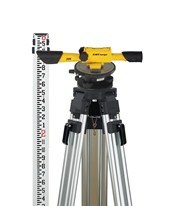 Tiger Supplies carry a wide range of survey levels, builder levels, and transit levels from trusted, major brands including CST/Berger and Northwest Instrument. Many levels are also available in kits with a grade rod and tripod, for a full setup package in the field. 1/4 in. at 100 ft.
3/16 in. at 100 ft.
3/16 inch accuracy at 100 ft.